Price was speaking on ITV panel show ‘Loose Women’ as part of a discussion on how to make your ex jealous. Former glamour model Katie Price has opened up about the time she attempted an overdose to win back ex-boyfriend Dane Bowers. The 37-year-old also revealed that she had been paranoid during her relationship with Bowers, feeling that her then boyfriend was obsessed with Victoria Beckham. Katie Price has said she attempted an overdose to win back ex Dane Bowers. Bowers was convicted of assaulting his ex-girlfriend Sophia Cahill in January 2015, but avoided a jail sentence. Former Another Level pop star Dane Bowers has been spared a prison sentence after being convicted of assaulting his ex-girlfriend in a domestic row. Bowers, 36, launched a “sustained attack” upon his ex-glamour model girlfriend Sophia Cahill in January this year that is said to have lasted from 35 to 40 minutes, including pinning her to the bed by her throat, pulling her by her hair and hitting her repeatedly in the face. The attack escalated from an argument over glitter on Bowers’ face, which Cahill had confronted him over the morning after he had attended a business appointment at a nightclub. Bowers had pleaded not guilty to a charge of assault, but was convicted. Well I think in the back of our minds we were all waiting for this day to happen: Dane Bowers has been arrested at a Butlin’s Holiday Resort. Indeed, where once he stood at the top of the UK charts with his band mates Another Level, now he finds himself standing in a urine-soaked hell hole, otherwise known as big Chokey. The Big House. Jail. Actually we think he’s long since been let out now given that he tweeted about the event, which happened last weekend. According to the Daily Mirror, Bowers was DJing at the resort in Sussex, with a source telling them “Dane was working as a DJ. The place was packed.” What happened next seems a little vague, but the upshot is there’s a video of the former pop star being led away by police. It’s turned out that he’s been charged with assault, whilst his brother Wade has been charged with assault and possession of cocaine. Builder Terry Kean was with them, and was arrested for threatening words and possession of cocaine. Say, we wonder if cocaine had anything to do with it? Dane Bowers, DJing at Butlins? What could possibly go wrong there...? 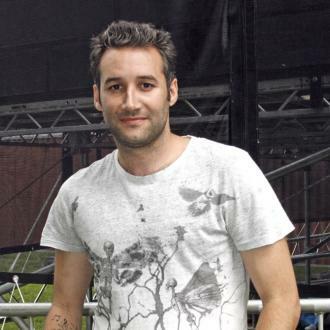 Dane Bowers has been arrested after a brawl at a Butlins holiday camp where he was DJing. As if the fall from grace, from popular pop star, boyfriend of Katie Price and general all-round ‘someone everyone knows’ to ‘DJ at a Butlins ‘90s night’ wasn’t harsh enough, Dane and his mates all landed themselves in the clink after Saturday’s cheesy pop-fest (April 20, 2013). A video emerged on YouTube of Dane being led away by coppers after his DJ set ended in a brawl and The Mirror have reported that it wasn’t just the former Another Level star that found himself in trouble. Dane, now 33 years old, was charged with assault after the holiday camp fisticuffs session and promptly got carted away by police officers. His brother Wade, 31, also got caught up in the trouble and found himself arrested for assault and for possession of cocaine. A friend, builder Terry Kean, 35, was held for using threatening words and also for possession of cocaine. A source from Butlins said “Dane was working as a DJ. the place was packed.” The three men will now have to appear before Worthing magistrates next month to face their charges. Dane Bowers, who once found fame in the pop band Another Level and had a hit with Victoria Beckham (‘Out Of Your Mind’) in 2000, has never quite managed to retain his former glory. In 2010 he appeared on I’m A Celebrity Get Me Out Of Here but lost to Alex Reid, who would later go on to marry Dane’s ex-girlfriend Katie Price.